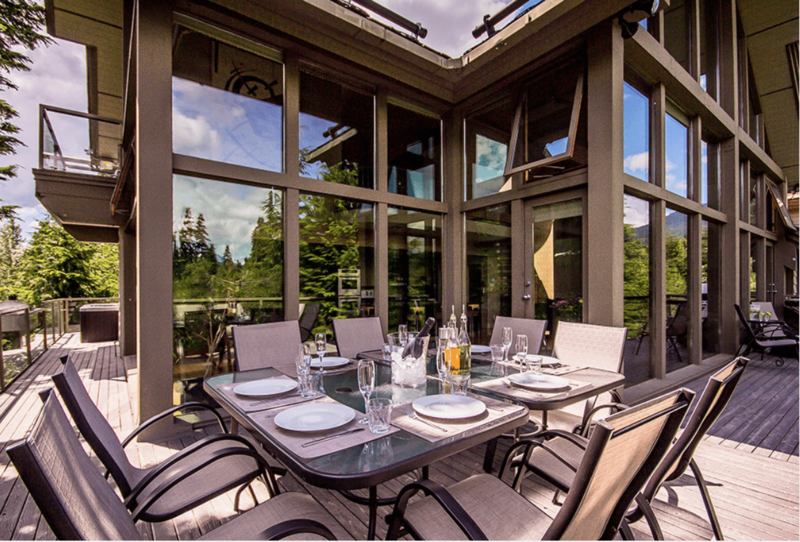 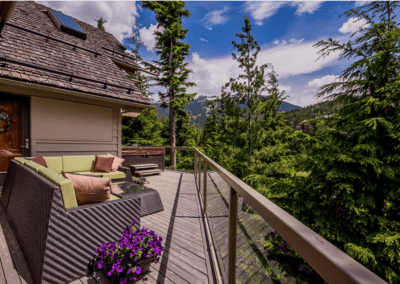 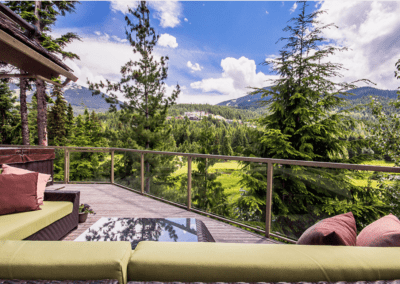 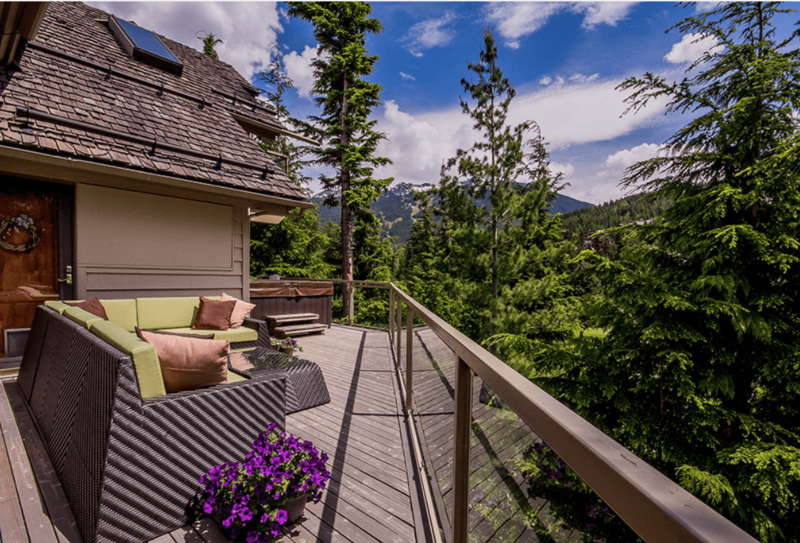 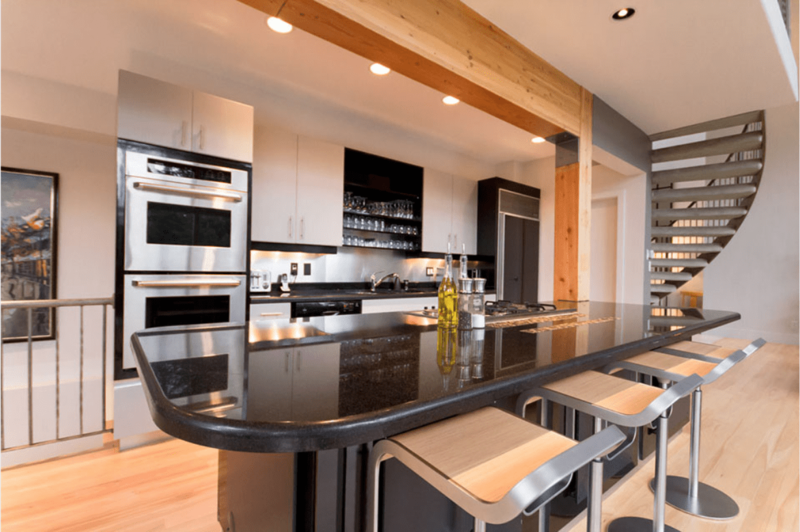 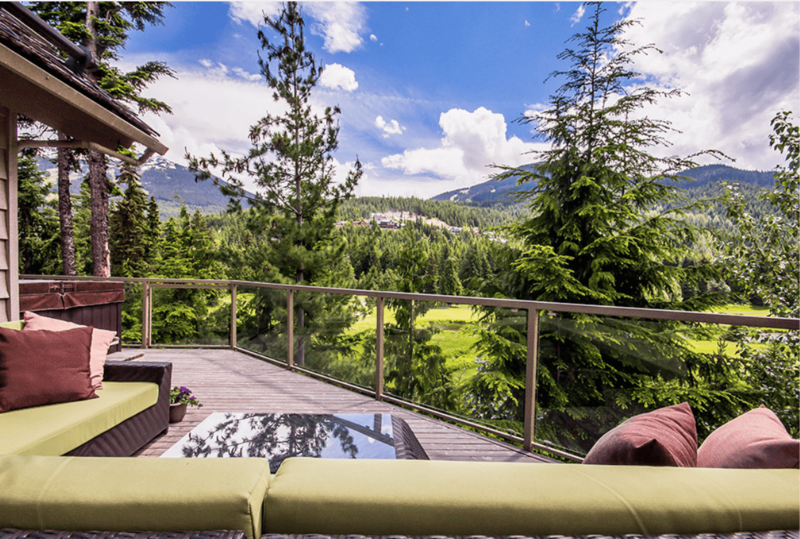 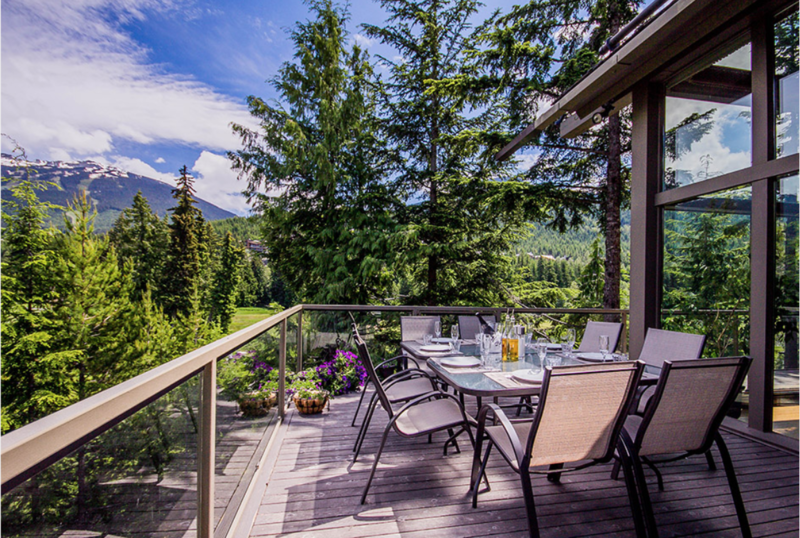 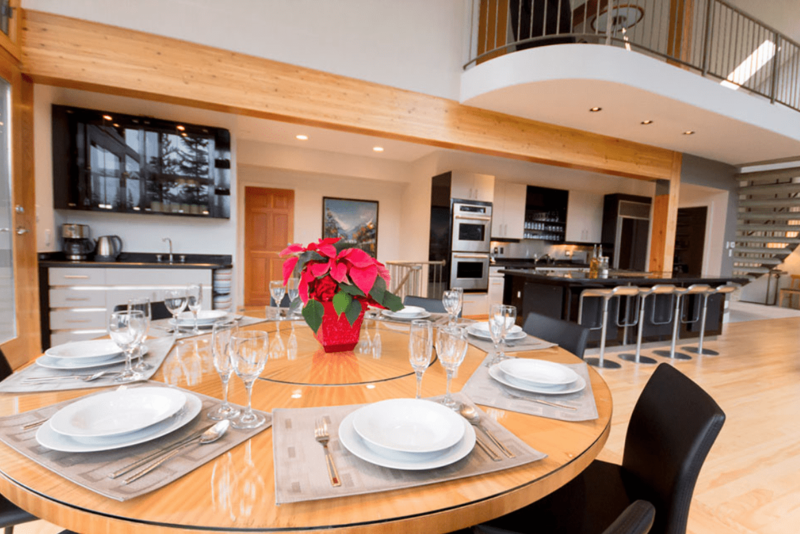 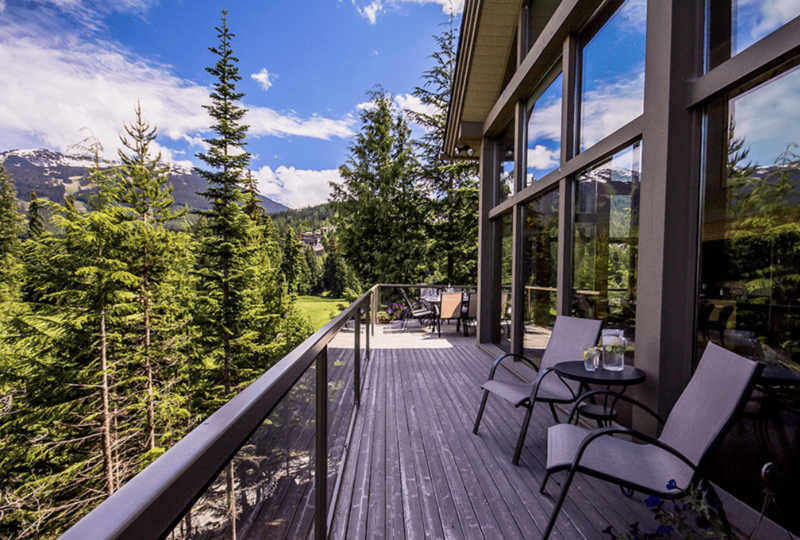 This exclusive 3000sqft Blueberry Hill home gives you the opportunity to experience the best of Whistler, just minutes from the village. 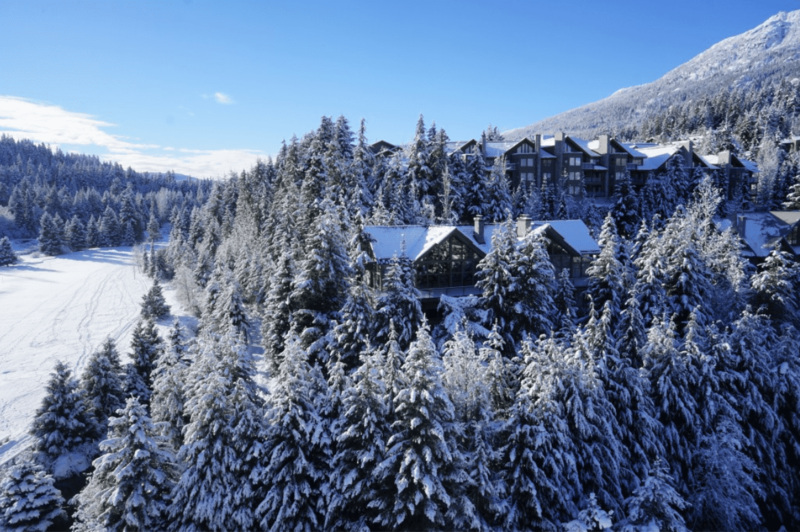 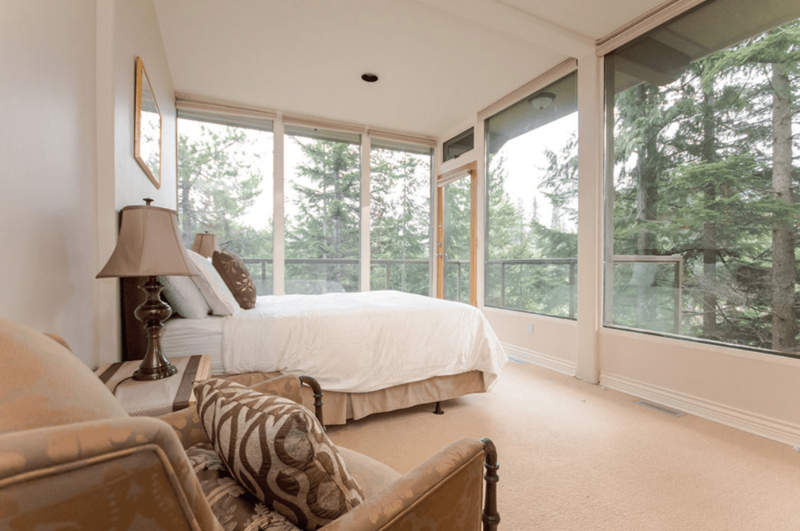 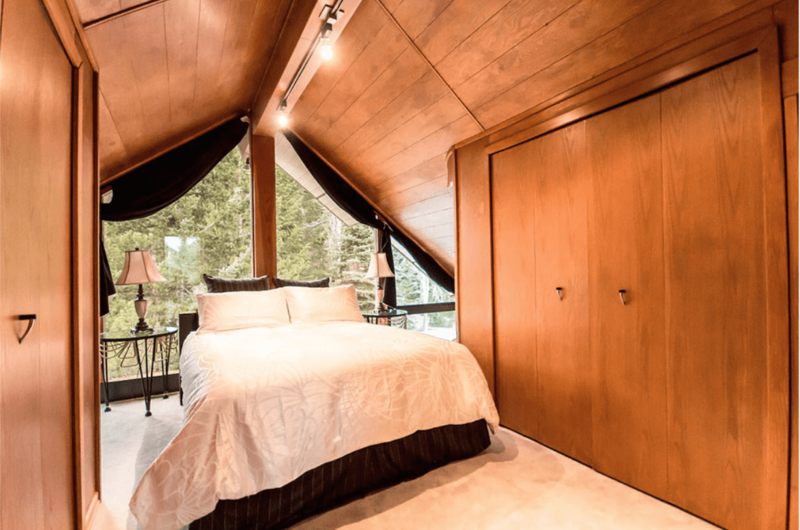 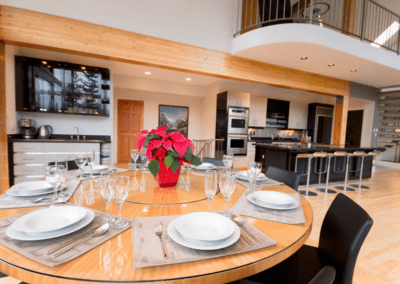 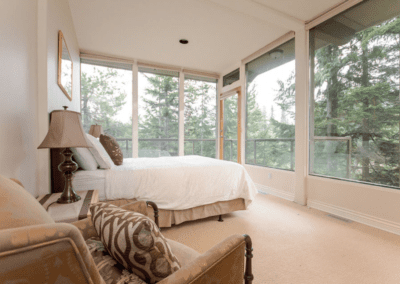 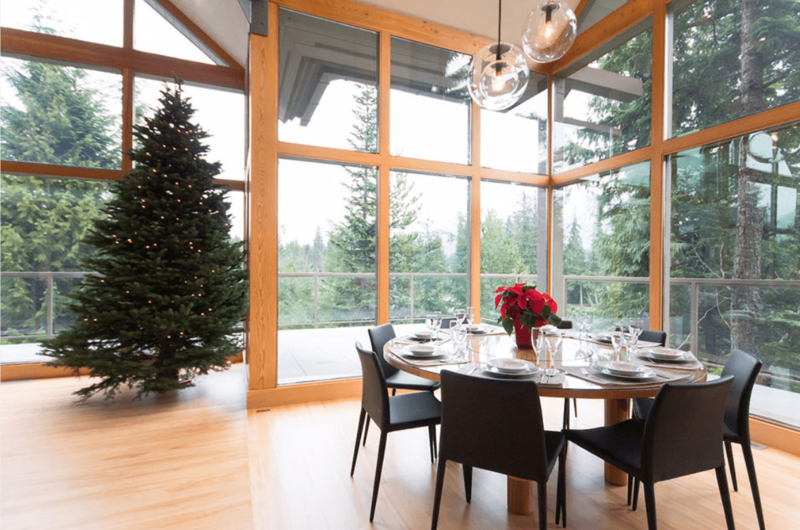 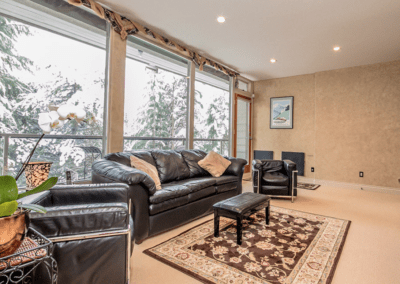 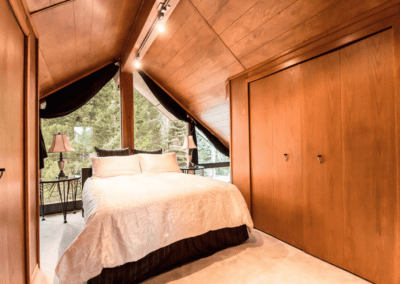 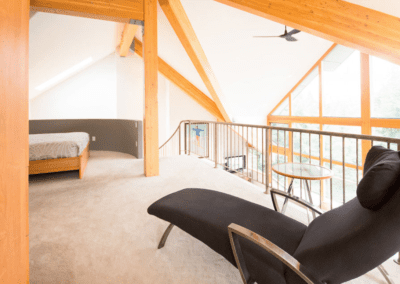 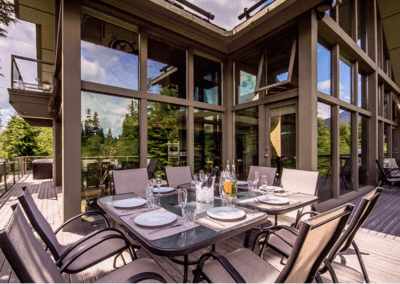 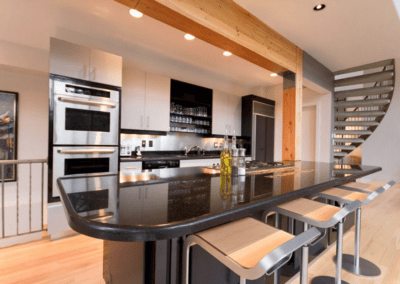 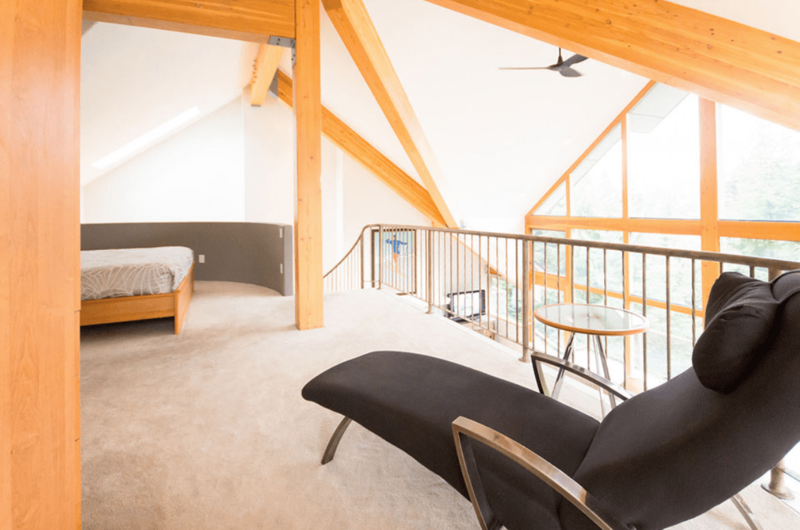 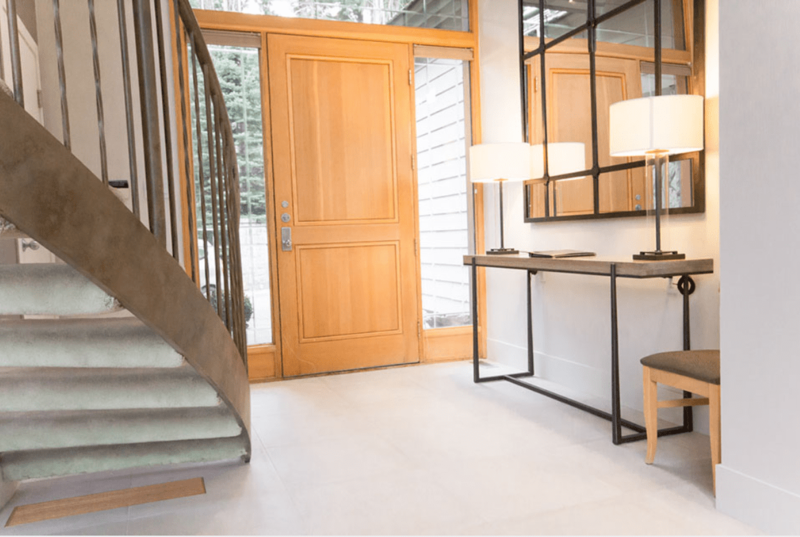 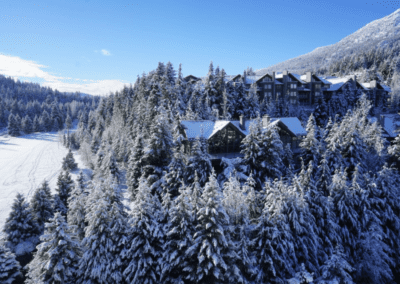 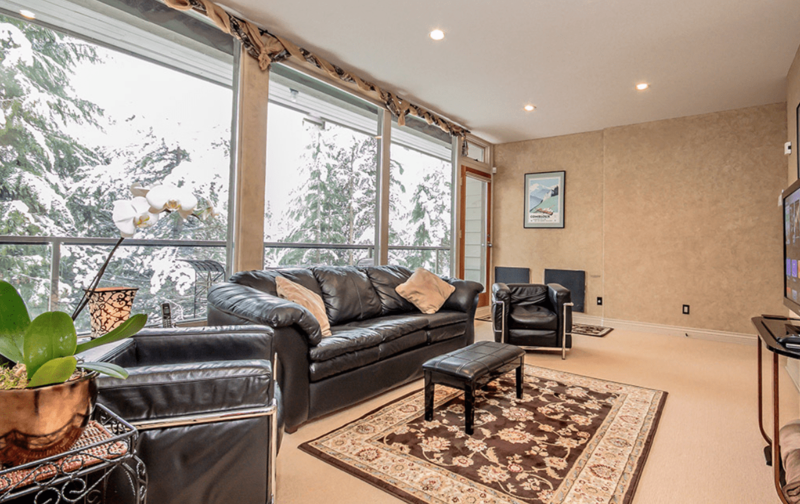 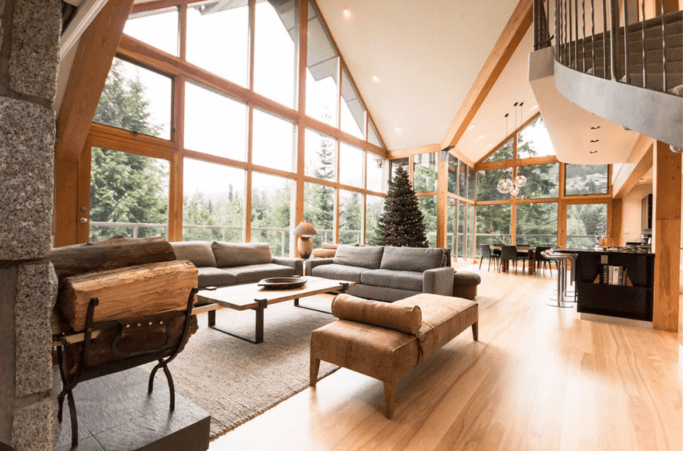 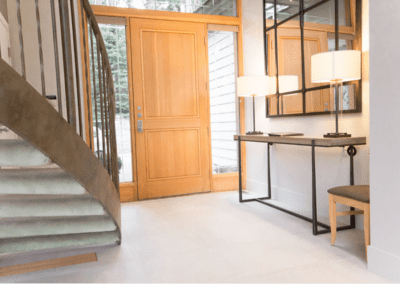 Entering the main living area will take your breath away with its vaulted ceiling, 30ft windows and spectacular south-facing view of Blackcomb Mountain and the Whistler golf course. 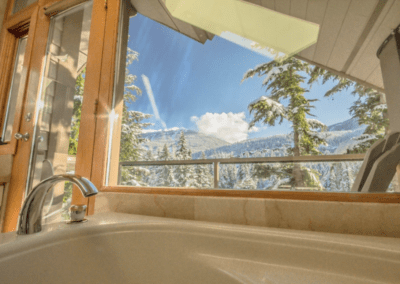 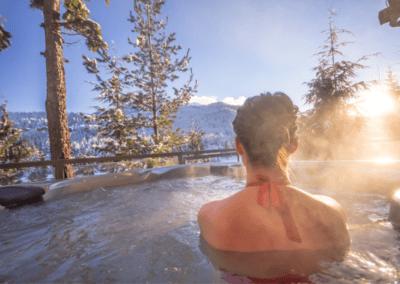 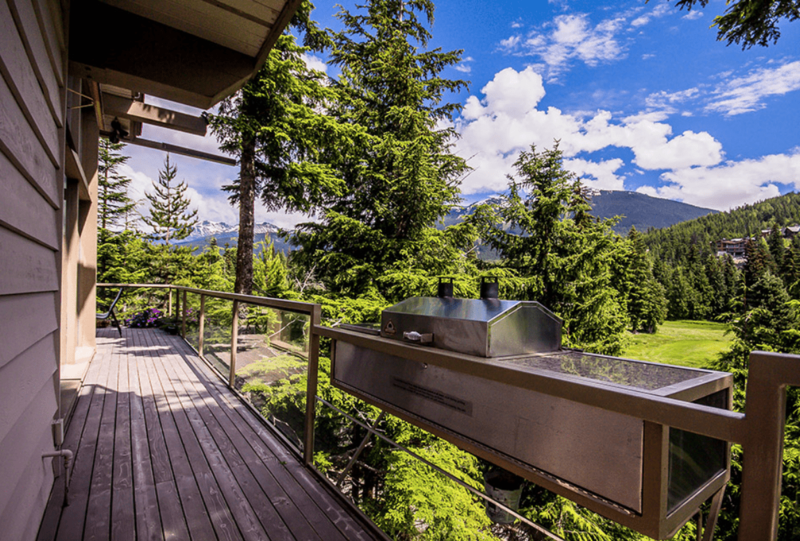 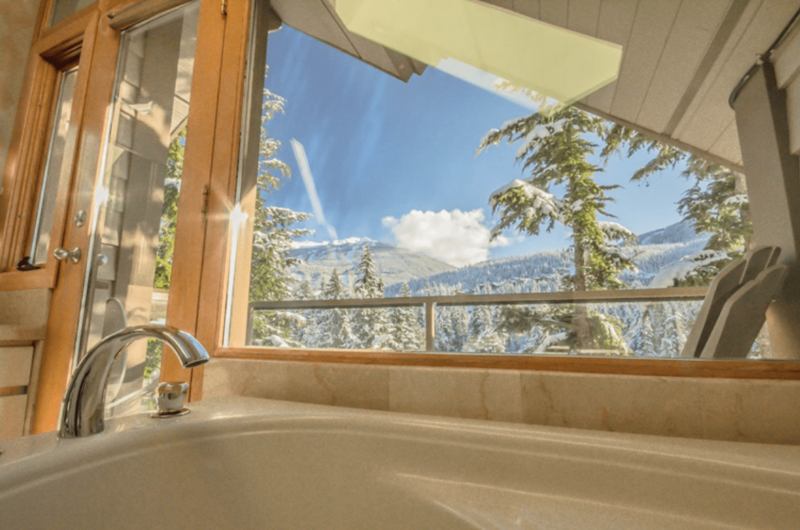 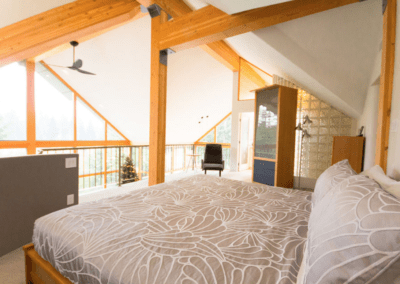 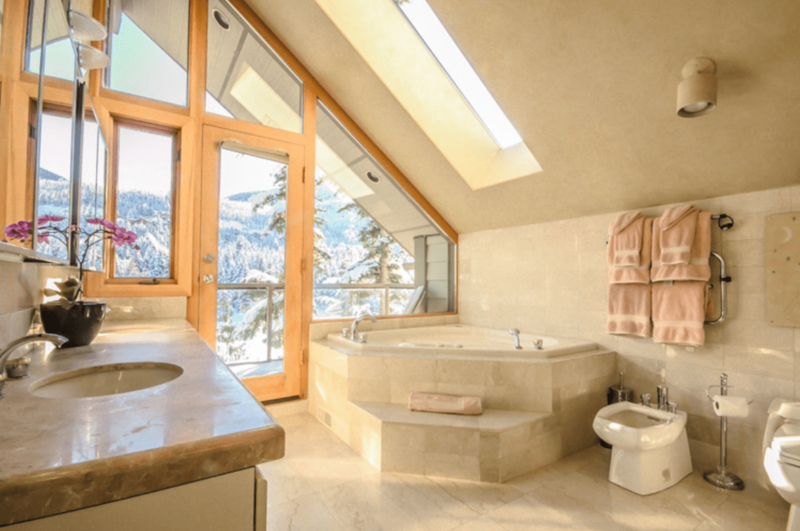 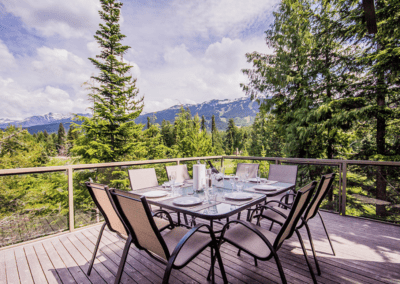 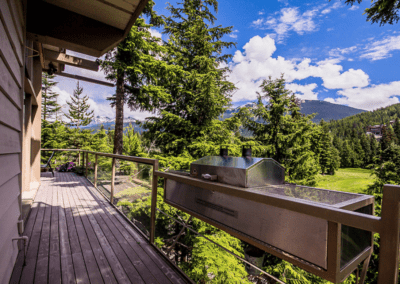 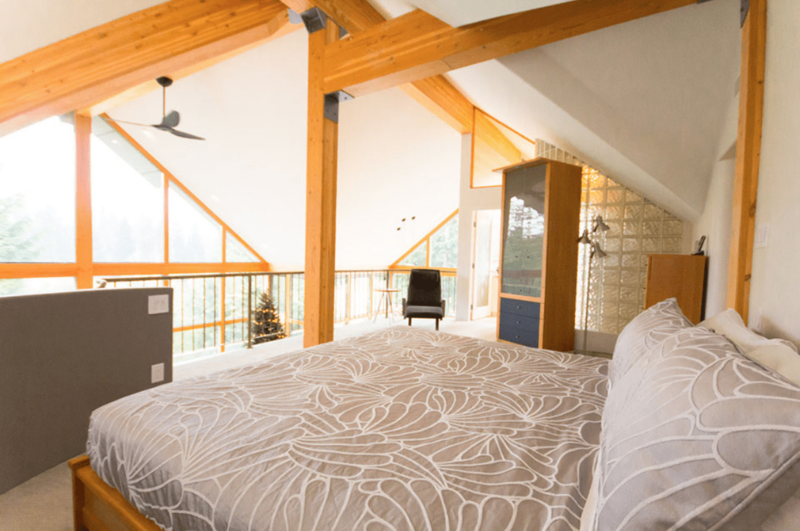 This view can also be enjoyed from the wrap-around deck whilst enjoying a hot-tub, BBQ or bear spotting which is a common occurrence in the spring and fall most mornings (before 7am) and evenings. 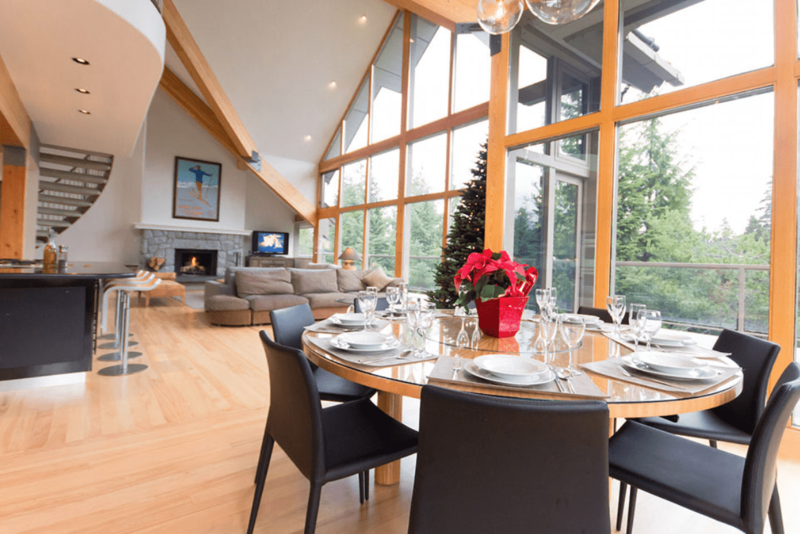 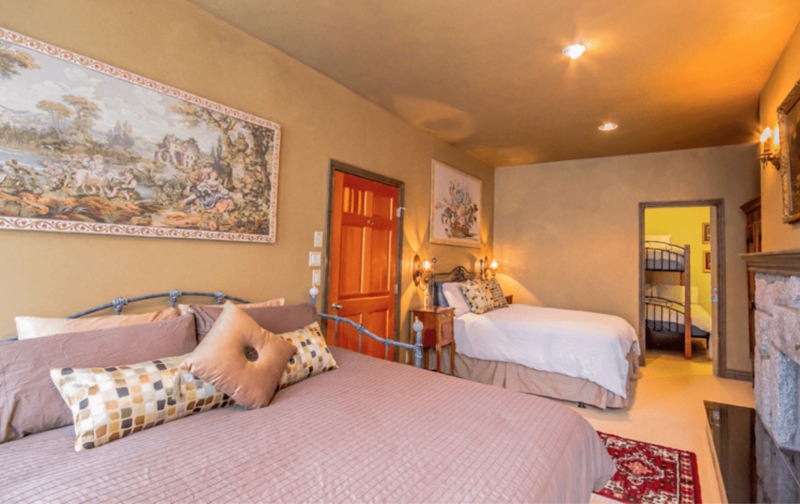 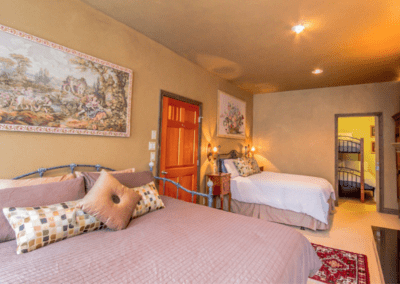 The main living area has a cozy seating area around the wood burning fireplace, a dining area and a fully equipped kitchen that would make any chef happy. 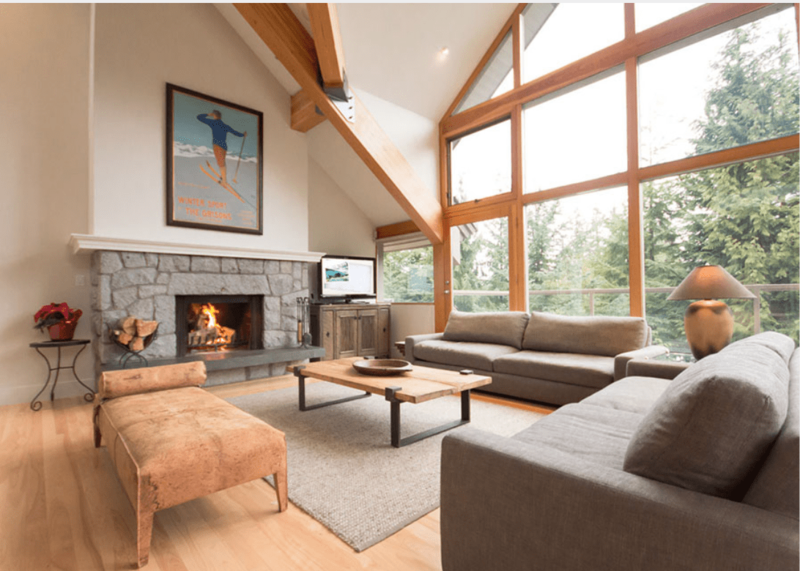 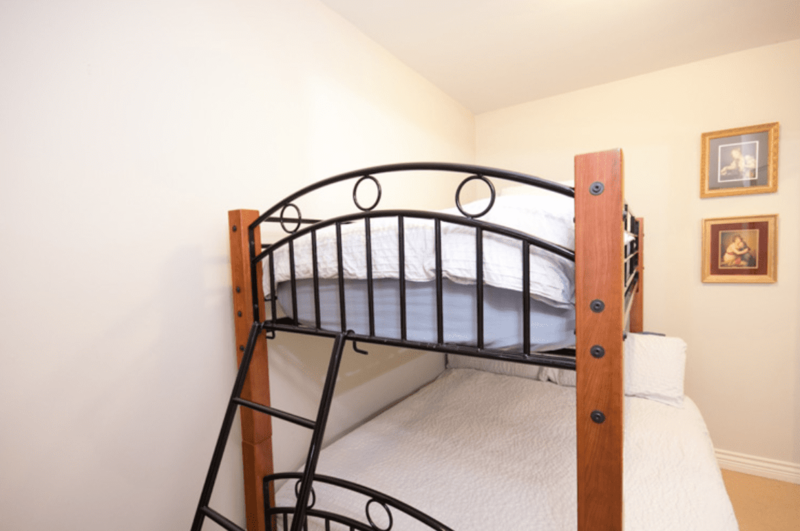 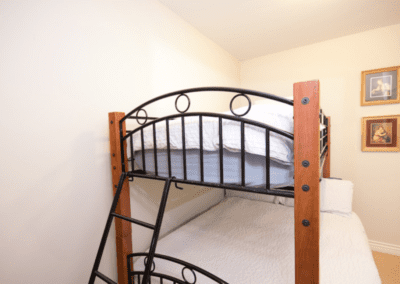 The second living area downstairs is equipped as a movie room, giving your group the flexibility to entertain in separate rooms (kids & adults!). 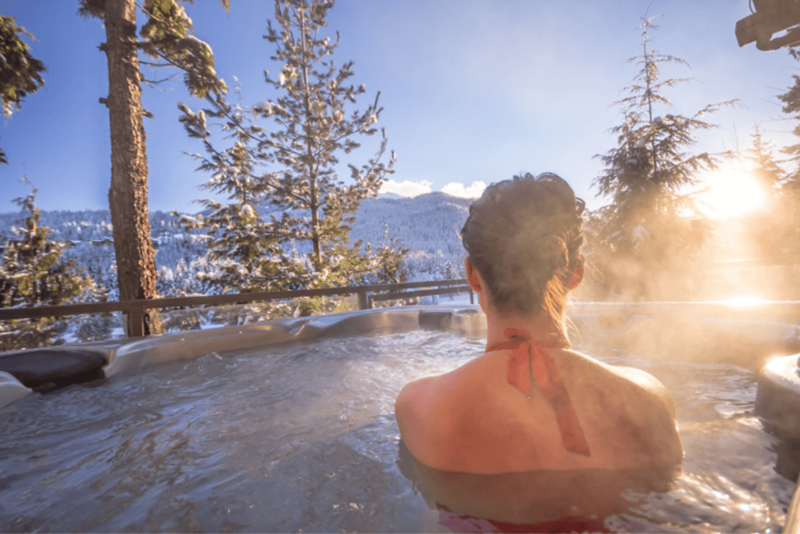 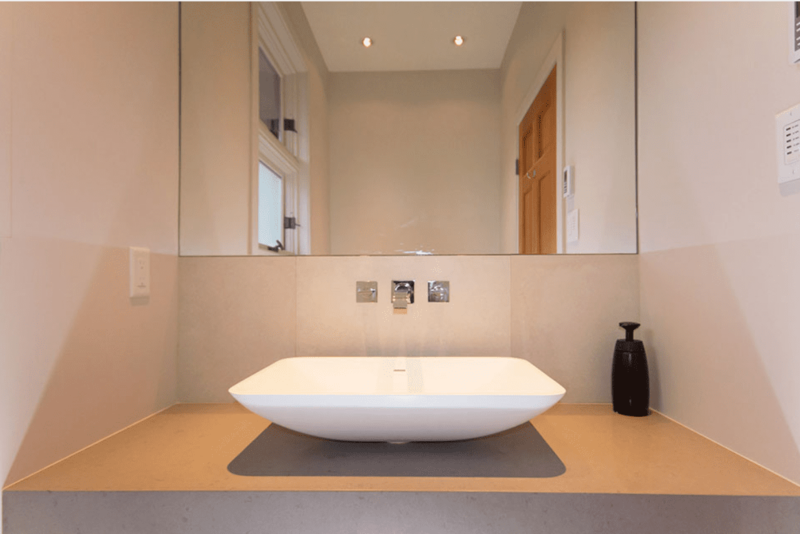 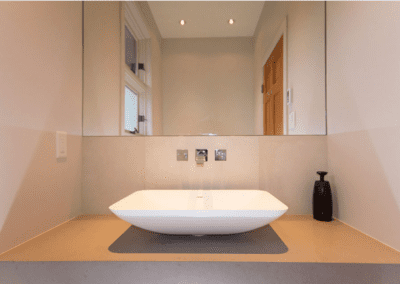 To unwind aching muscles after an active day choose from the steam shower, the sauna or the 6 person hot-tub on the deck. 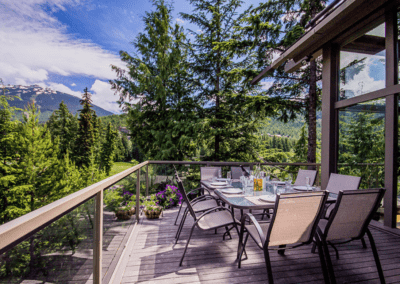 Most spring/summer/fall mornings and evenings you can spot a couple of black bears wandering around the Whistler Golf Course from the private deck – an exciting (and safe) experience if you have not seen a bear before!